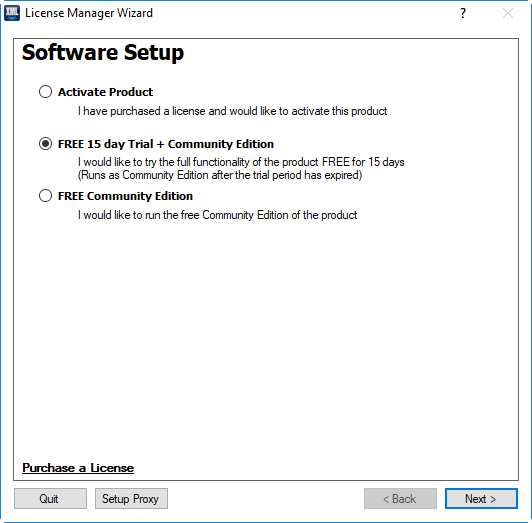 In order to make use of all the features of the product, you will need to request a FREE 15 day trial license. 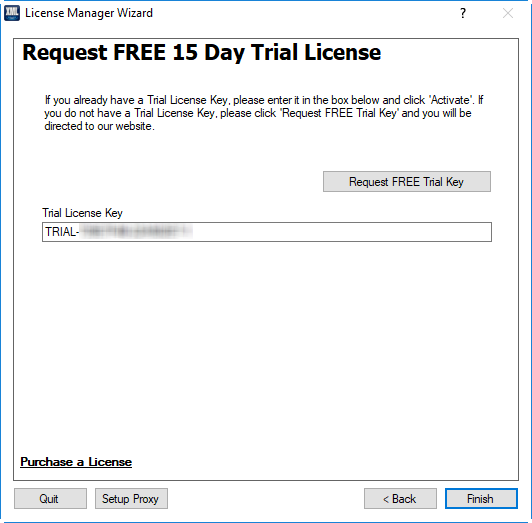 If you have a trial license key, enter it in the box and click 'Finish'. If you have a connection to the internet, then the request will be made automatically, and your trial will begin. If you have a connection to the internet, then the trial request page on our web site should be displayed in your web browser. If an errors occurs then see Trouble Shooting. © Liquid Technologies Ltd 2018. All Rights Reserved.